Christmas 2003 is approaching fast but festive thoughts are at least put on hold with the distraction of the Rugby World Cup as England is gripped by sporting fever. As the cheers of the victory homecoming parade begin to diminish, for one group of Brits there is the chance to rekindle their seasonal spirit when given the chance to visit a modern Christmas idyll. 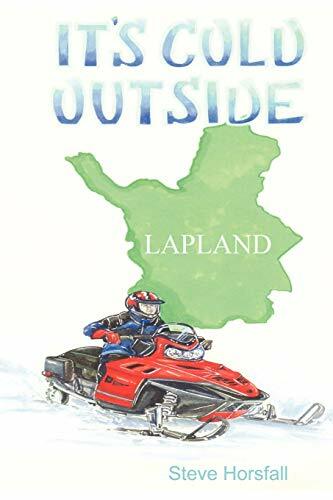 The prestigious Snow Lodge in Lapland plays host to a very diverse party - two amateur radio DJ's, a fading rock star and his faithful hippy roadie, an easy going marketing manager and his fiery senior executive girlfriend plus a sharp tongued lonely pensioner and his Santa suit. Spurred on by a suave entrepeneur, and with a bubbly entertainment manager in tow, the unlikely group undertake the trip of a lifetime - a very unique snow trek. Stranded in the middle of nowhere, the group have no choice but to work together to survive for it is time for them to learn who they really are. Christmas will never be the same again.